Just picked up a model 57, can anyone tell me about it? Thread: Just picked up a model 57, can anyone tell me about it? Breakaway500, ussmanlovede36, jeepnut and 10 others like this. I can't find my catalog, so I can't give you a birthdate. It's pinned and recessed so it's before '82. If you hear sirens, it's cuz you STOLE it! Breakaway500, jeepnut, Curt360 and 2 others like this. If the stocks are original to the gun , I'd guess mid to late 70s . My '79 M29 has the same football stocks . jeepnut, Thewelshm, Curt360 and 1 others like this. Looks great and at a fine price! I’ll PM you my address, sent it to me so I can examine it for you... I’ll eventually get back to you with my findings mate..
Curt360 and blitzen25cat like this. Curt360, Diabloman, jeepnut and 1 others like this. Did you hold him up for the register, too? WOW What a deal . Good thing i did not see it first. !!!! There were 4 engineering changes to this model over the production run. Pinned barrel and recessed cylinder being two of the changes. the 8 3/8 barrels bring a premium. 4inch is the most common ..
Last edited by Layne12gun; 04-15-2019 at 10:38 PM. Curt360, jeepnut and Thewelshm like this. I did manage to get them to knock off the tax and background check fee, hopefully that isn't held against me too strongly when I'm being judged in the afterlife. Thanks for the useful info so far! Bumpus, Thewelshm and Injunbro like this. 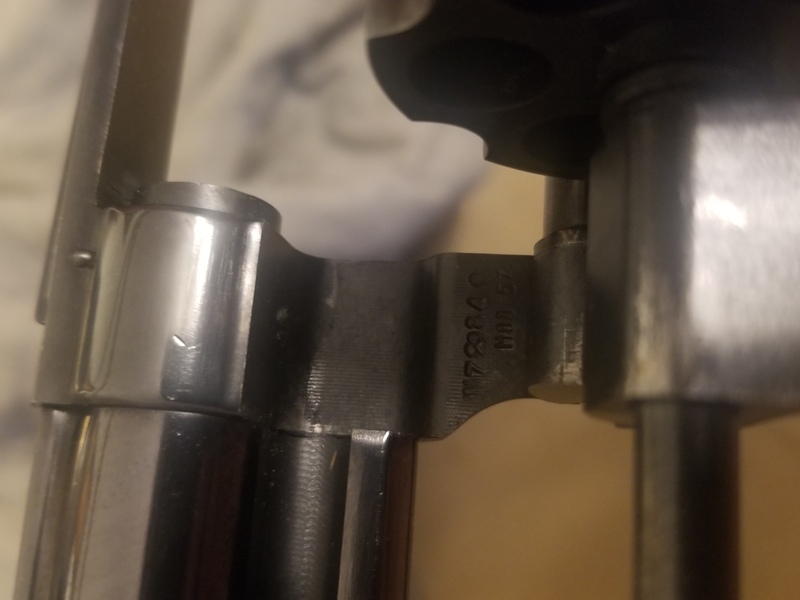 Curious me, concerns or just tell me to shut up "dealing without a license"
Can anyone tell me if the frame on a .38 and a .32 double action are the same? 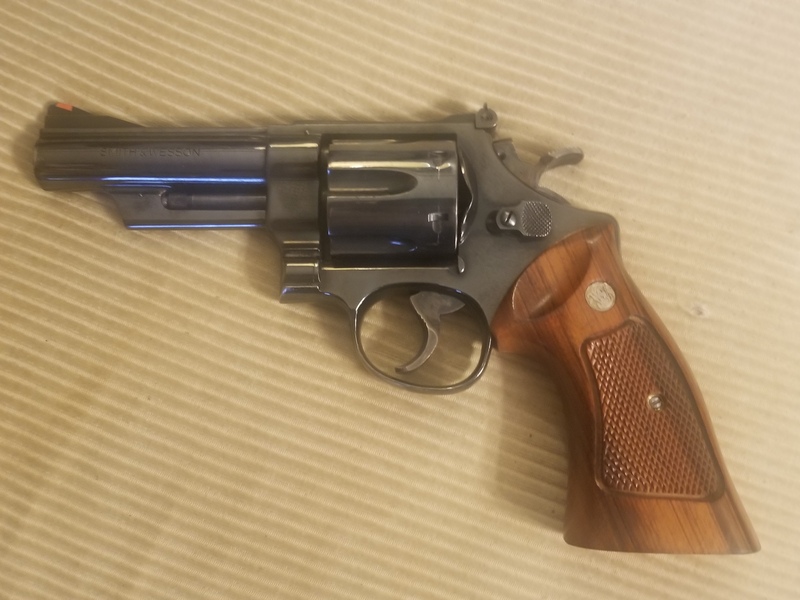 Can anyone tell me the date of this revolver? Picked up a Model 57 Today. Would anyone mind sharing some knowledge? Just picked up this 17-6, can you guys school me on it?